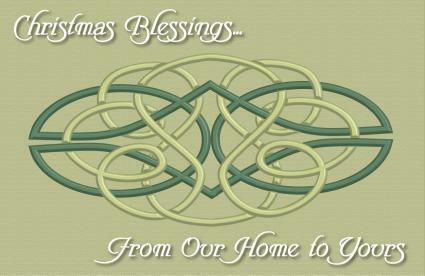 Stay true to your Celtic heritage and send Irish Christmas cards as holiday greetings this year. These cards are the perfect way to say "Beannachtaí an tSéasúir" (Season's Greetings). Download and print these free cards onto card stock right at home. If you need help downloading these cards, check out these helpful tips. Once printed, fold the cards and write your own message on the interior. The green in this card fits perfectly with the holiday green of the Christmas season. Click to download this free card. Send Irish blessings to your friends and family with this printable card. The Printery House: The Printery House offers a selection of Irish holiday cards with Christian messages. There are usually 18 cards and envelopes to a box, depending on the selection. Abbey Press: Abbey Press also carries a good selection of Christmas cards. Some are simple, with just a trinity knot on the cover and the statement "Christmas Blessings", while other cards have more elaborate images and sayings. Average box quantity is 21 cards and envelopes. 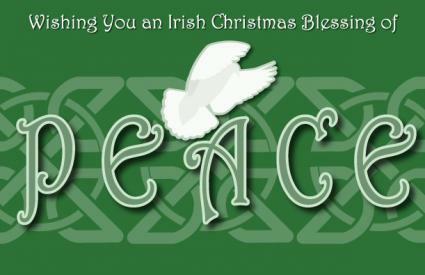 IrishShop.com: IrishShop.com has a nice selection of Christmas cards with Irish themes. Most are simple with traditional images such as wreaths or knots combined with statements such as Irish Christmas prayers. Average box quantity is 25 cards and envelopes. 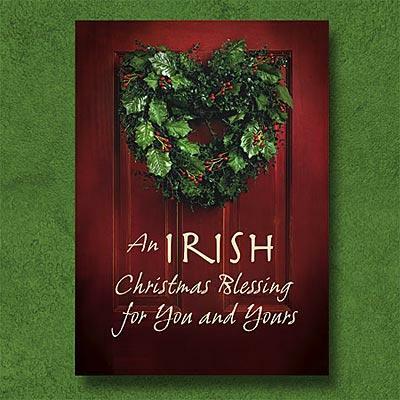 Let your Irish heritage show during the holiday season with an Irish Christmas card. Download one of the free cards, or purchase a box to send; either way you're sure to send some Irish blessings to those you love.